Home > Home & Kitchen > Kitchen Supplies > Kitchen Gadgets > Rubber Anti-Fatigue Kitchen Floor Mat 59.06" x 35.43" x 0.31"
Rubber Anti-Fatigue Kitchen Floor Mat 59.06" x 35.43" x 0.31"
The Bar Kitchen Industrial Multi-functional Anti-fatigue Drainage Rubber Non-slip Hexagonal Mat features large hexagonal drainage holes that help to reduce the amount of slippery liquids and oils left on the floor and prevent dangerous accidents. 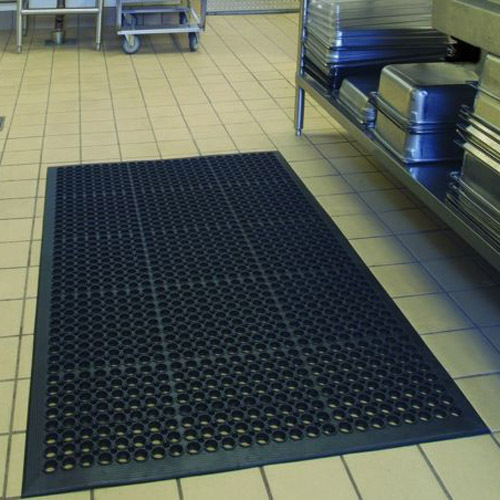 Hence, it is ideal for uses in bar, kitchen, restaurant, as well as warehouse or other industrial areas where moisture and heavy foot traffic are a problem. Made of high-grade, eco-friendly rubber, it is sustainable for long-lasting use. Even better, it is water resistant and easy to wash clean. There are always some safety hazards in the oily or watery ground such as kitchens and bathrooms. Water is not easy to discharge, which will breed bacteria. The wet and slippery ground is easy to bring about sliding, causing labor dispute. 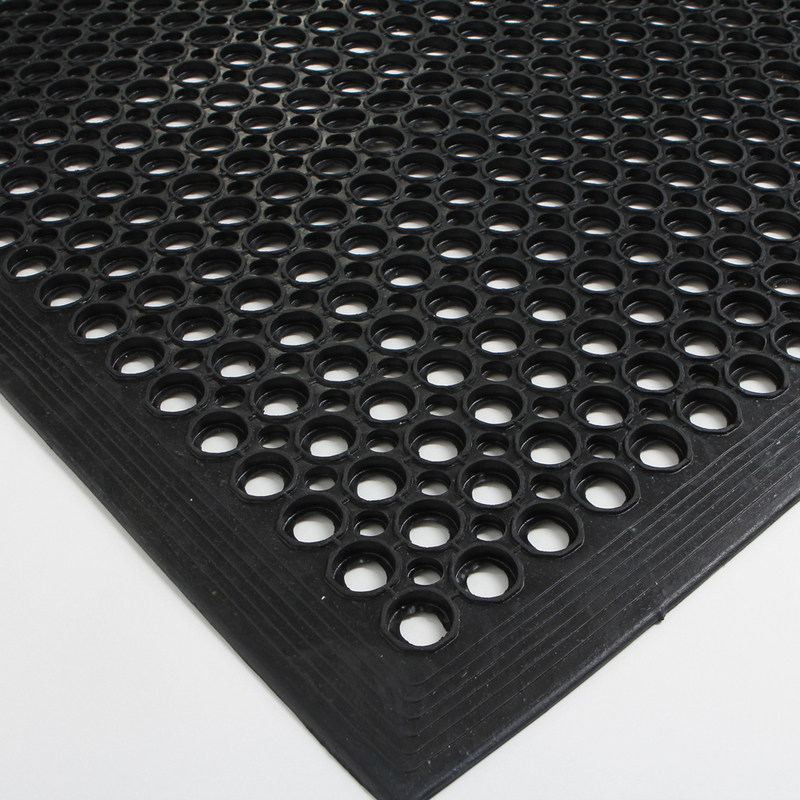 This safe, anti-skid and anti-bacterial rubber mat is a boon for saving ground. Porous surface can quickly evacuate water, which can effectively antibacterial. 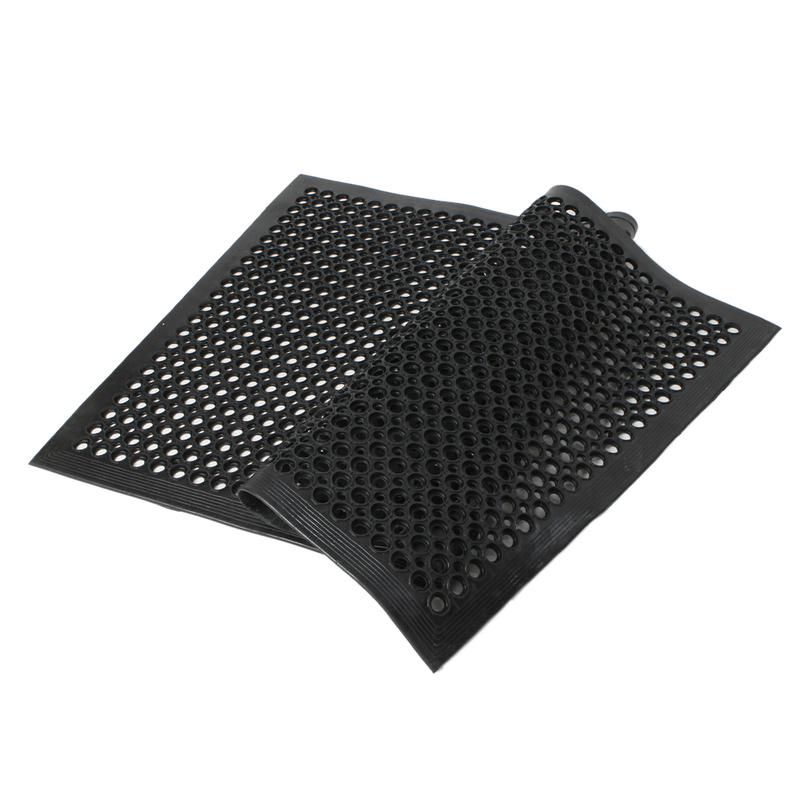 At the same time, the comfortable rubber mat can well relieve fatigue of employees because of standing for a long time. 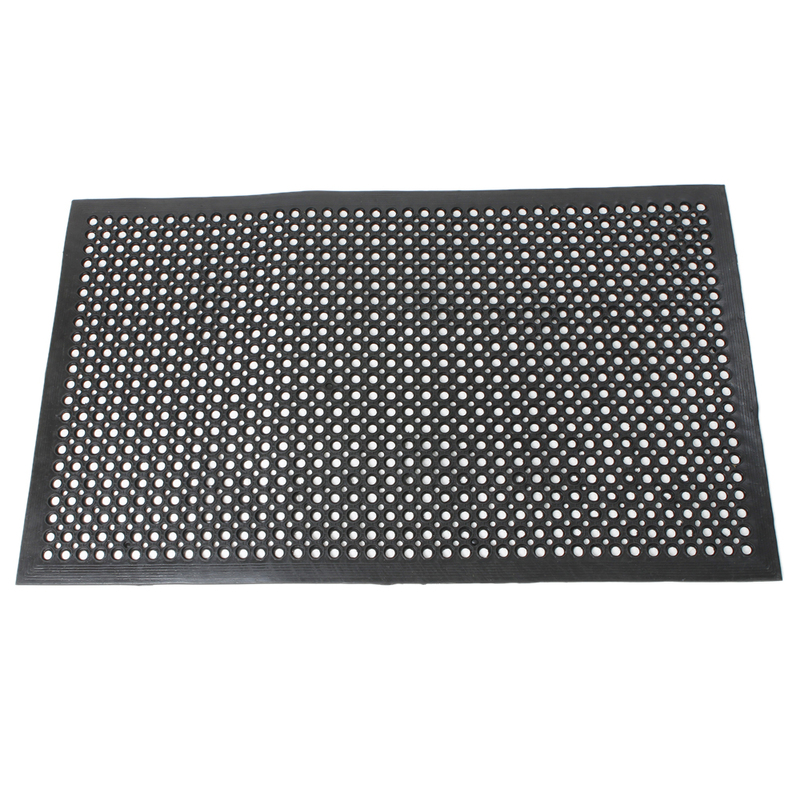 The mat is well made and is very sturdy, The design of the mat gives it a reasonable level of cushion. 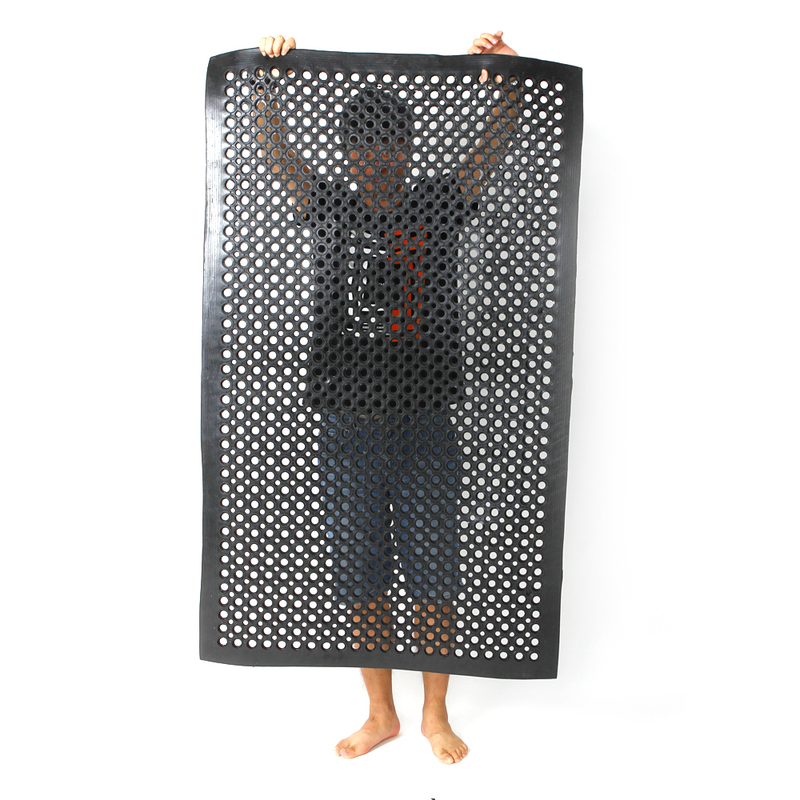 What you can not see from the description is that the bottom of the mat is a honeycomb of holes that create the cushion instead of an internal layer of foam. Received it within 5 days.Very practical,much better than the floor mats I bought before. Home-use PVC Matte 48" x 36" x 0.08"